Happy weekend, everyone, and welcome back to 3-Ingredient Happy Hour, the weekly drink column featuring super simple yet delicious libations. This week was kind of hectic for various reasons, so I feel the need for something insanely streamlined, even by our standards. 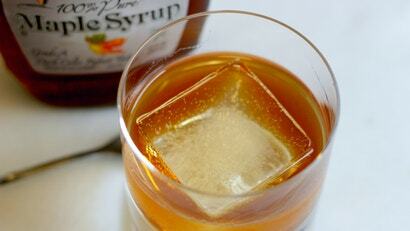 I want to pour, stir and sip, and maple syrup is going to help me get there. Apple sauce is an excellent accompaniment to many treats (latkes, ham, roasted pork), but the store-bought stuff can be a little lacking. Luckily, you can easily jazz it up with stuff you probably already have in your fridge. 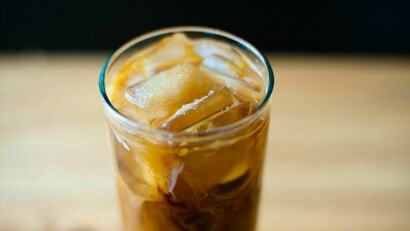 Due to its unwillingness to dissolve in cold liquids, table sugar is the enemy of iced coffee. 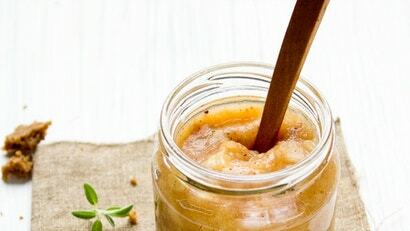 You could whip up a simple syrup, or you could reach for something slightly healthier yet even more decedent: maple syrup.